Welcome to our website. Together for more than 50 years, Assistance League of Phoenix has been making a difference in our community. Our over 170 Assistance League of Phoenix members have given over 25,000 volunteer hours, spent over $1,000,000 each year serving almost 43,000 children and families in the greater Phoenix community. We are a nonprofit, all volunteer, 501(c)(3) organization engaged in all aspects of the chapter’s operation, from hands on service to fundraising activities to administrative support. While choices are many for our members, the common goal is to provide volunteer support to the community and give those we work with a chance at a better life. Currently, the volunteer membership of Assistance League of Phoenix supports six philanthropic programs that touch the lives of thousands of people each year. The organization’s major source of funding includes its Assistance League Thrift Shop, the chapter’s annual Celebration of Caring Gala, grants and donations. Legacy Connection and BHHS Legacy Foundation have teamed up with Assistance League of Phoenix to provide support for Assistance League of Phoenix’s Operation School Bell program. Children grades K-8 who are at risk in the Greater Phoenix area benefit by receiving new school clothing, shoes and hygiene kits through this program. Any and all personal donations will be matched by BHHS Legacy Foundation and will be restricted for Assistance League of Phoenix’s Operation School Bell Program. It is important to note that 100% of your contribution plus BHHS Legacy Foundation’s matching funds will support the cost of the program. Legacy Connection is a 501(c)(3) nonprofit organization and a qualified charitable organization under the Arizona Department of Revenue for the Working Poor Tax Credit ($400 individuals/$800 married filing jointly). We hope that you will take advantage of this opportunity to have your donation matched dollar for dollar and make a contribution to Legacy Connection today. To make your donation by credit card or check please visit: http://alphx.org/support-us/ . With your support, more can be done to improve the quality of life and education of the children in our communities, thank you! The Arizona Charitable Tax credit allows you to receive a dollar for ­dollar tax credit, up to $800 if you file a joint return, on your Arizona state itemized income tax when you give to Assistance League of Phoenix. For those filing a single tax return, the tax credit is up to $400. This means your dollars can benefit the working poor, that Assistance League of Phoenix serves, yet it won’t come out of your pocket! And you’ll receive the added satisfaction of knowing you’re helping others. 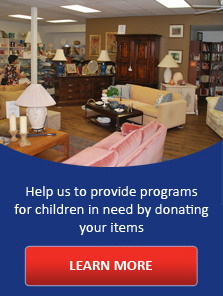 Assistance League of Phoenix is a 501(c)(3) non profit organization. All donations made to Assistance League of Phoenix are tax deductible. Assistance League of Phoenix is a qualified charitable organization under the Arizona Department of Revenue for the Working Poor Tax Credit. To see if you qualify for the State tax credit (up to $400 in a taxable year for a single individual or head of household and up to $800 for a married couple filing a joint return), contact a qualified tax advisor.